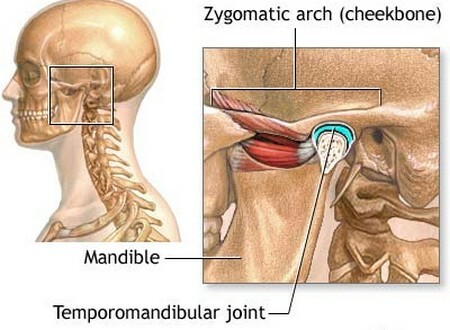 TMJ is the abbreviated term for temperormandibular joint disorder. This disease effects the temperormandibular joint. This is the point where the jaw is attached to the skill. This disease has its pain and discomfort. Some over the counter medications can help relieve the discomfort, but some patients prefer TMJ treatments. Symptoms of TMJ vary. They may include popping and clicking of the jaw, soreness of the jaw, headaches, neck and shoulder pain, earaches, tinnitus (ringing of the ears) and grinding of the teeth. Get diagnosed. If you are having symptoms, make an appointment to see your dentist. A dentise primarily treats and diagnoses this disease. Pay close attention to the things you do right before you have a TMJ flare up. For example, long intervals using the computer may have an effect on TMJ. Manipulating the mouse using the arm, shoulder, neck and jaw are effected. Change the behavior that causes TMJ episodes. Limit your time on the computer, take frequent breaks of you work with a computer to limit the time you are exposed in one stretch. If you can not stop these behaviors that triiger TMJ episodes completely, then try your best to reduce these activities as much as you can. Change your diet. Make sure you increase the amount of fresh vegetables you are getting in your daily diet. Also, try and have some red meat. Red meats are high in iron, zinc, B12 and more. These vitamins and minerals are vital to treating the symptoms of TMJ. You should avoid foods that are high in sugar, yeast and preservatives. Be conscious of how you are sitting. Poor posture may worsen symptoms of TMJ. For example, if you lean forward when on your computer for long periods of time. You may find your TMJ will flare up. Find chairs that will support the lower back when sitting for long periods of time. This is a way to eliminate discomfort. Headaches are very common and painful in people who suffer from TMJ. Try sleeping without a pillow. Sleeping without a pillow may help to lower neck pain and headaches that TMJ suffers may experience. Stretch you neck and shoulders frequently. This helps to lower the pain associated with TMJ. Do these stretching exercises at regular intervals during your day as opposed to trying to do everything at once. For example, if you are going to work at your computer for 8 hours, then a break should be scheduled ever hour. Do both necj and shoulder exercises to keep your pain at bay. You should do these exercises for a few minutes per exercise.